Come explore PFP's array of exciting gardens. We use gardens as outdoor classrooms to engage youth and adults and to encourage connections with the land and the bounty it has to offer. There are seven school gardens that Poughkeepsie Farm Project helps to support in the Poughkeepsie City School District. 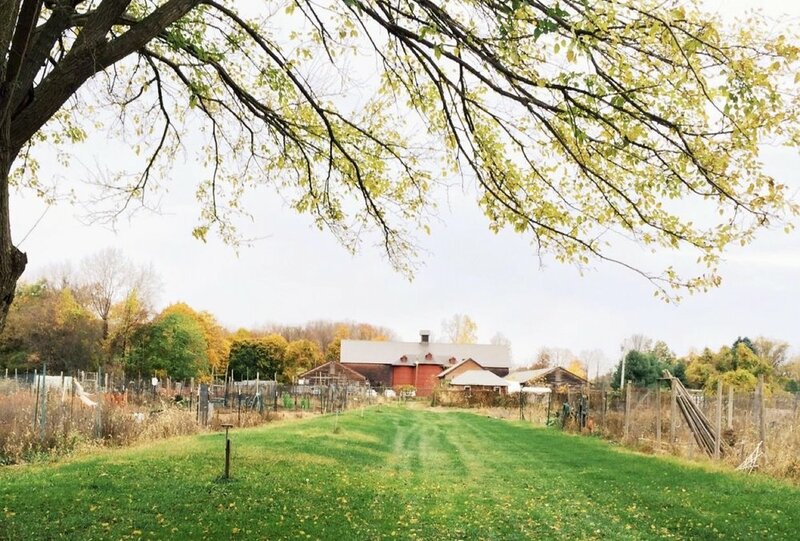 We help support the Vassar Community Gardens which are located right next to our Discovery Gardens. Our discovery gardens are a place for children to learn and explore. We have designed whimsical garden "rooms" with a meandering path that weaves through the different themed gardens. We grow culinary and medicinal herbs in our meditation garden. Join us most Wednesdays from 4 to 6 to learn about herbs and to help care for the garden. PFP-grown seeds and other seeds are distributed to non-profits and schools that are growing educational or service-based gardens. 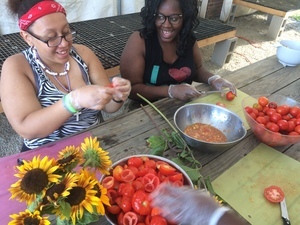 Reflections on "Using Gardens to Teach"
PFP's 2016 Summer Institute for Educators focused on helping educators of youth in the primary grades integrate gardens into their teaching.